Q-interactive is an award-winning digital platform that streamlines the entire assessment process. When you are ready to administer the assessment, you simply click a button and the assessment is sent to your iPad. Your assessments will be stored in the Q-interactive “Assess” Application (app), on your iPad. 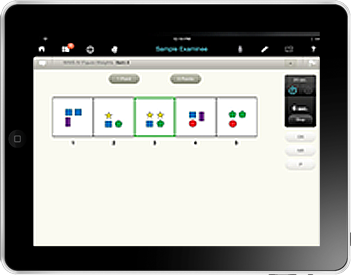 You administer the assessments through two iPads, one for you and for your client. These iPads talk to each other via a Bluetooth connection. When you’re finished assessing, you can generate reports and sync all your data back to central for secure storage and further review. Choose from and administer a continually growing library of digital tests and subtests such as: WISC®–IV, WAIS®–IV, CVLT®–II, CVLT®–C, and D–KEFS™. 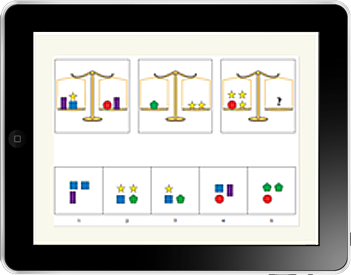 Prior to inclusion in the Q-interactive assessment library, each new type of subtest undergoes an equivalency study to confirm that scores obtained from Q-interactive are interchangeable with those obtained from our standard paper-and-pencil versions. Clinicians will find it easy to use Q-interactive’s three functional modalities: “Choose” (select tests and subtests), “Assess” (administer the tests) and “Sync” (with a simple tap, send results to the web application).